The North-South Corridor is expected to bring in 30 million tonnes worth of trans-shipment cargo annually to Astrakhan. Russian authorities believe that the region can only benefit as a logistics hub between India and Europe if it develops more ports by the Caspian Sea. 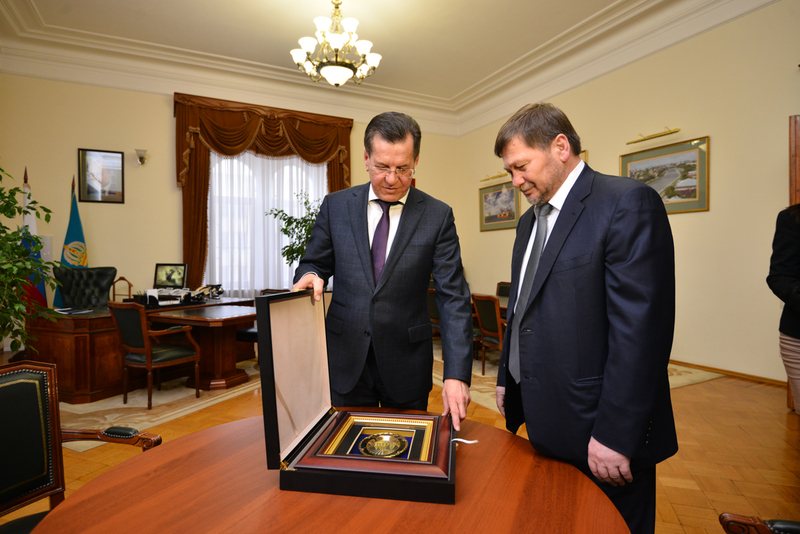 The Astrakhan Region is gearing up to increase engagement with India through its participation in the North-South International Transport Corridor project, Astrakhan Governor Alexander Zhilkin told Russian First Deputy Minister for the North Caucasus Odes Baisultanov at a meeting on Jan. 30. The region, which has a partnership with Gujarat, is keen to position itself as a major trans-shipment hub between India and Europe. Once fully functional, the North-South Corridor will bring in up to 30 million tonnes of cargo in trans-shipment to the region every year, Zhilkin said. Cooperation between all Russian ports in the Caspian Sea is needed to handle such volumes of cargo, he added. The Caspian Transportation and Logistics Complex is being constructed to enable such coordination, according to the governor. There are three international maritime transport ports in southern Russia: Olya and Astrakhan in the Astrakhan Region and Makhachkala in the Republic of Dagestan. The new complex will connect all these ports in a single cluster, enabling year-round transit of freight on key international transport corridors. Zhilkin and Baisultanov stressed on the importance of developing ports in the Caspian basin. Vladimir Putin recently said the task of developing the country’s southern ports was one of Russia’s national priorities. Baysultanov said Russia is a bit behind other countries in the development of major port systems. The potential of the Astrakhan port is currently underutilized, and this prevents the attraction of foreign partners, investors and manufacturers, he added. The North-South Corridor will connect northern Europe to India and Southeast Asia. The corridor starts in the Indian west coast (Mumbai), passes along the sea to the Iranian ports of Chabahar and Bandar-e- Abbas, and by land to Iran’s Caspian Sea coast and beyond. One part of the corridor crosses the Caspian Sea to Astrakhan, and another uses the land route to Central Asia or the Caucasus to Russia and onwards to northern Europe.